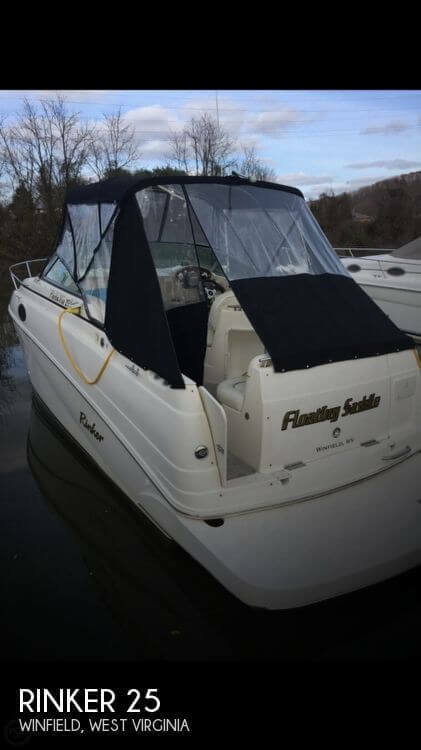 The seller reports that this boat has always been run in freshwater and is not aware of anything that would need to be repaired or replaced at this time. This boat was built and maintained this boat with an open checkbook. Records are available for review if under contract. Stock #164407 FRESHWATER USE & PRICED TO SELL! 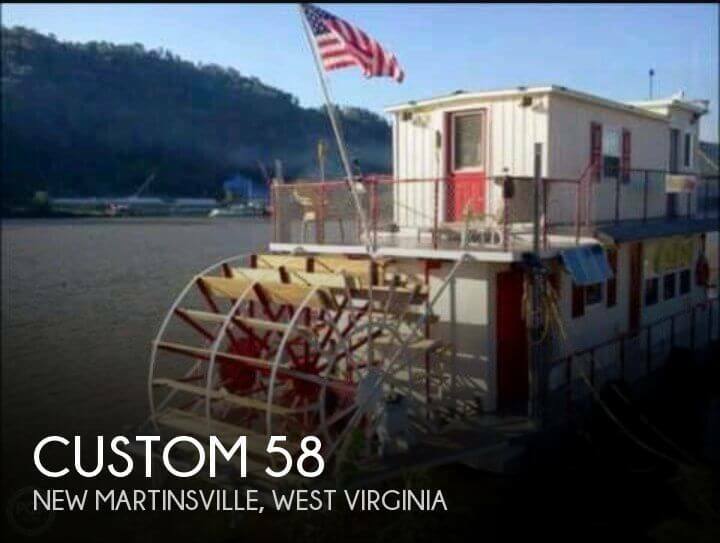 If you are in the market for a houseboat, look no further than this 2013 Custom 56' Sternwheeler, just reduced to $93,500 (offers encouraged). This vessel is located in New Martinsville, West Virginia and is in great condition. She is also equipped with a Cummins engine. Reason for selling is building another boat. The seller reports that overall this boat does not appear to be in bad shape, but does show signs of age. There is an unknown issue with the generator. He's had it looked at and they have not been able to determine the issue that is causing not to operate properly. Bottom paint was re-done within the last two years. ***REASONABLE OFFERS TO BE CONSIDERED*** Stock #160499 YOUR HOME ON THE WATER AWAITS!! SLEEPS 6!! 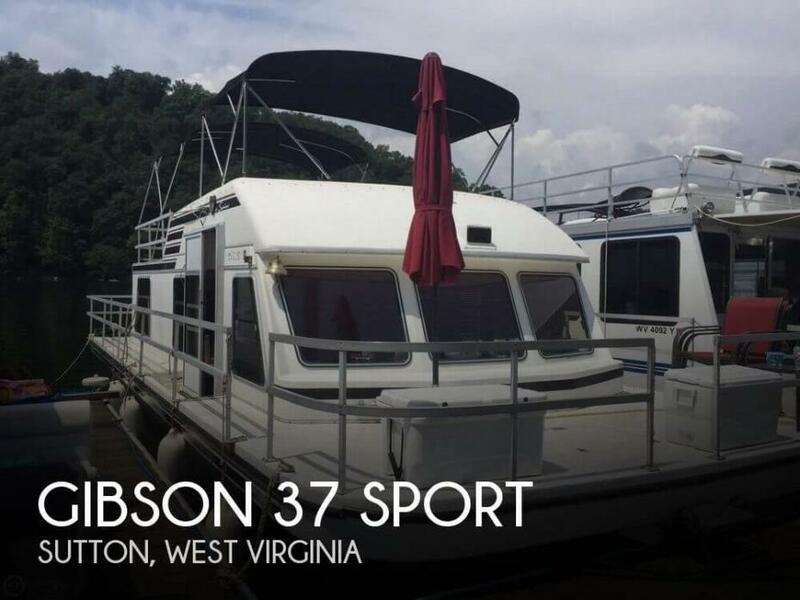 If you are in the market for a houseboat, look no further than this 1992 Gibson 37 Sport, just reduced to $35,000 (offers encouraged). This vessel is located in Sutton, West Virginia and is in good condition. She is also equipped with twin Crusader engines. Owner has always kept in the garage when not in use. The owner stats everything works as it should and just spent a BUNCH of money having the seats and cushion re-upholstered. Only selling because the kids want a pontoon boat. Owner will store this winter at no cost. Stock #170578 This vessel was SOLD on March 27. If you are in the market for an express cruiser, look no further than this 2005 Stingray 240 CS, priced right at $23,750 (offers encouraged). 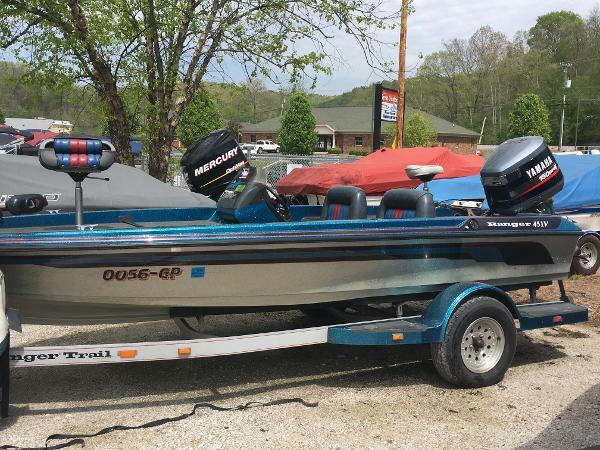 This boat is located in Bridgeport, West Virginia and is in great condition. She is also equipped with a Mercruiser engine that has only 250 hours. 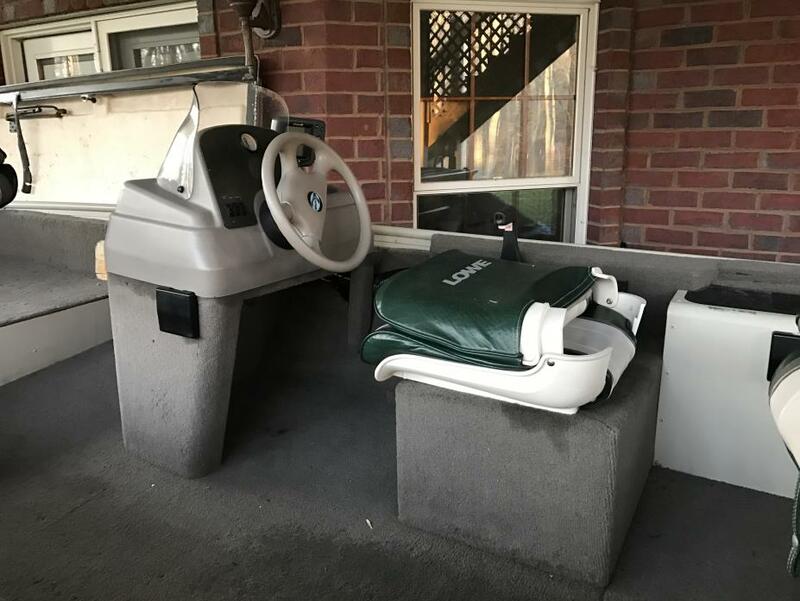 Owner states the boat has been used about 100-150 hours. No meter on the engine. It is in good shape but needs a buffing out around the water line. The battery switch seems to work intermittently and probably needs replacing. Stock #165387 BRING YOUR OFFER! This 175 HP. 21 FT. SEA FOX COMMANDER is priced to sell. 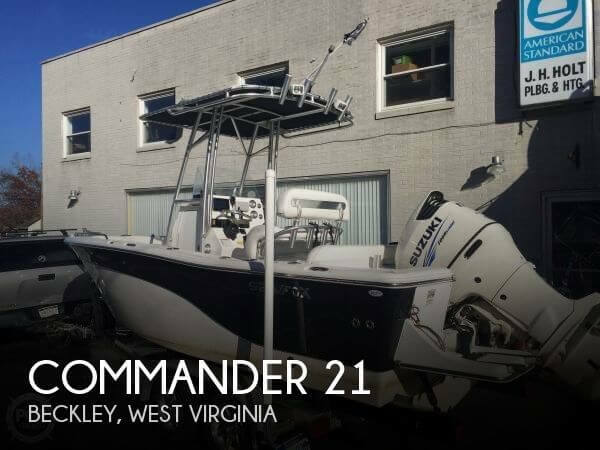 If you are in the market for a center console, look no further than this 2014 Sea Fox 209 Commander, just reduced to $39,900 (offers encouraged). 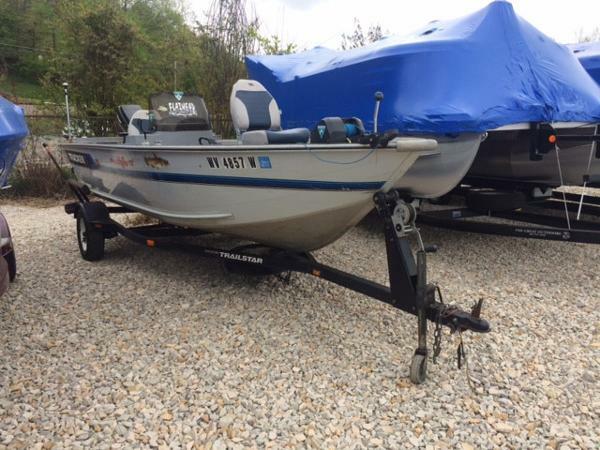 This boat is located in Beckley, West Virginia and is in good condition. She is also equipped with a Suzuki engine that has only 150 hours. Reason for selling is new priorities. This boat is in very good condition and systems are working well, according to her owner. Also, she is a freshwater boat, so you can expect her in better condition than similar saltwater boats. Only blemishes on this Fountain are shown in the pictures (upholstery splitting and various minor others) Also, the head has never been used. 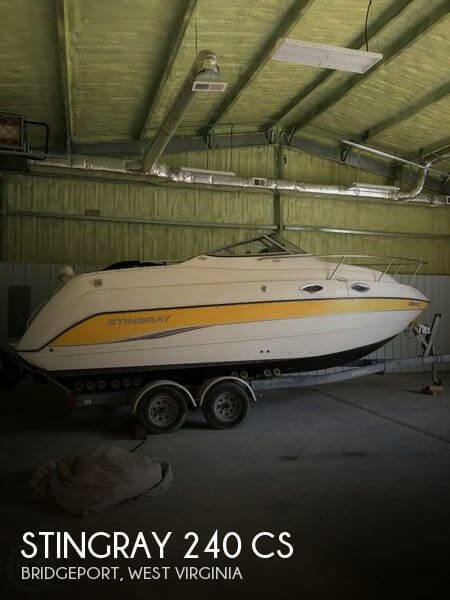 Stock #160546 1992 FOUNTAIN FEVER 32 TWIN MERCRUISER 502 MAGS TRAILER INCLUDED If you are in the market for a high performance boat, look no further than this 1992 Fountain FEVER 32, priced right at $37,800 (offers encouraged). 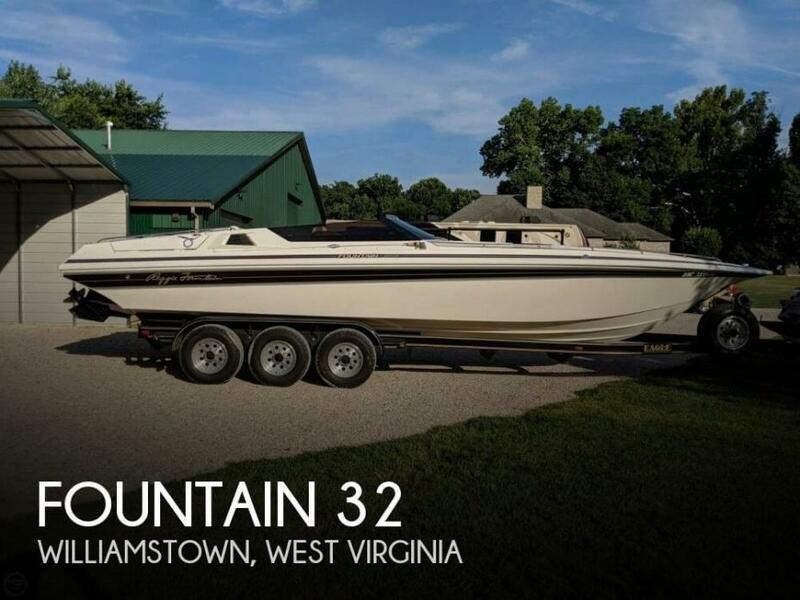 This vessel is located in Williamstown, West Virginia and is in great condition. She is also equipped with twin Mercruiser engines that have 573 hours. This Rinker is in very good condition all the way around. All upholstery (exterior) is in excellent shape. The interior is also in excellent condition. According to the seller, the only thing that does not work properly is the compass. (seems to have lost some of its liquid) The EZ Loader trailer was rebuilt in 2018. Stock #149596 Excellent condition Fiesta Vee 342! Brand new custom wrap! Meticulously maintained! Loaded and ready to cruise! If you are in the market for an express cruiser, look no further than this 2004 Rinker 342 Fiesta Vee, priced right at $80,000 (offers encouraged). 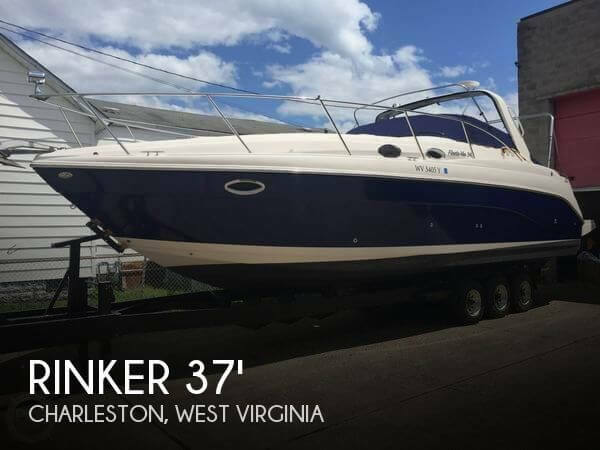 This vessel is located in Charleston, West Virginia and is in great condition. She is also equipped with twin Mercruiser engines that have 387 hours. Per the Seller: This boat is in very good condition and systems are working well All upholstery and camper canvas are in excellent condition along with the interior of the cabin! She has had two owners and it's easy to tell how well each owner has cared for her. Stock #157823 Comes with trailer and full camper top, Bimini top and full cover If you are in the market for an express cruiser, look no further than this 2003 Rinker 250 Fiesta Vee, priced right at $31,700 (offers encouraged). 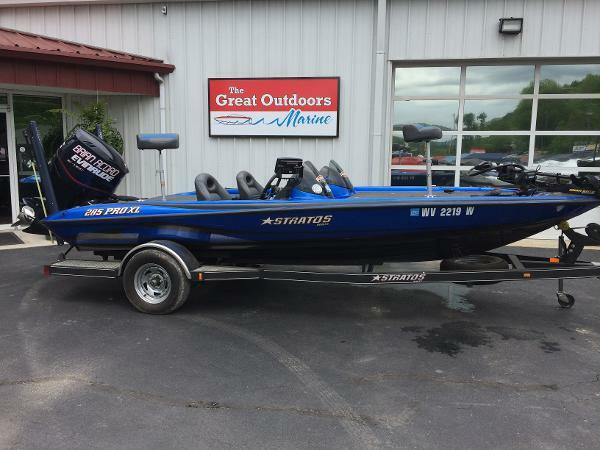 This boat is located in Winfield, West Virginia and is in great condition. She is also equipped with a Mercruiser engine that has 300 hours. Reason for selling is looking for a bigger boat. Quality built boat with hand laminated hull and deck. Balsa core deck with heavy marine plywood reinforcement. Extruded aluminum mast and stainless steel tangs, outhaul and gooseneck. Seller states vessel is in good condition. Trailer may be available - WV does not require trailers to be registered. Stock #079896 Nice cruiser! 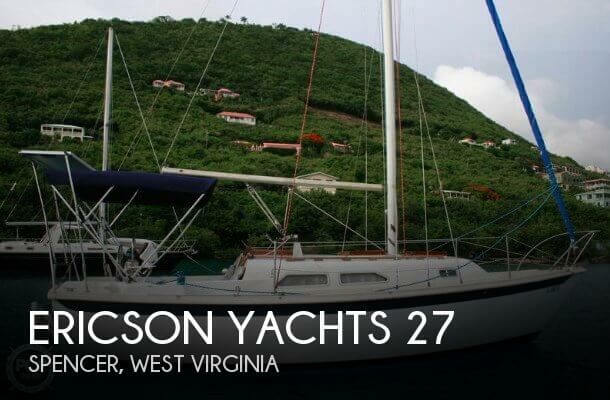 Ready to go and all sails are in good condition If you are in the market for a cruiser, look no further than this 1979 Ericson 27, just reduced to $18,900 (offers encouraged). This sailboat is located in Spencer, West Virginia and is in great condition. She is also equipped with a Yanmar engine. 1994 Tracker Pro Deep V 17 SC THE GREAT OUTDOORS MARINE - THE FUN STARTS HERE! This is a 1994 Tracker Pro Deep V 17 powered by a Mariner 40hp 2-strokeoutboard and has a single axle trailer with new trailer tires, a spare tire andside guides. The seats in the boat have new upholstery and the carpet is ingood condition as well. On the bow of the boat is an electric anchor winch.Throughout the boat are a few rod holders as well. The boat is rated for up to 7 people. 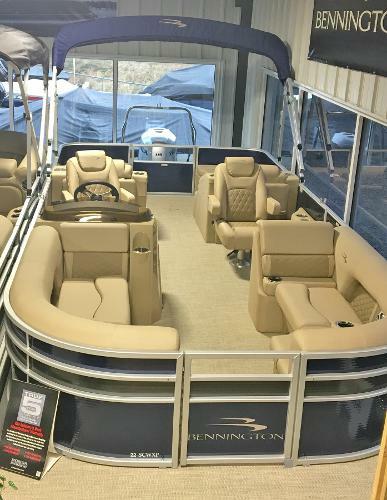 2017 Bennington 22 SCWX THE GREAT OUTDOORS MARINE - THE FUN STARTS HERE! With the purchase of this 2017 Bennington, you will receive a$1,500 FREE shopping spree here at The Great Outdoors Marine!Additionally, you will also receive a FREE Yeti cooler! This Package Includes: A Yamaha 115hp 4-stroke outboard, Tandem AxleTrailer with a spare tire, Mooring cover w/ storage bag, Bimini Top, 25" diameter pontoons w/ Sharkhide Protectant, Full Woven vinyl floor-beige, Pillowtop Diamond Pressed Upholstery-napa beige w/ Tuscan dune accent, Fish Striker 4 Depth Finder, livewell, Pop-up changing room, 2 Deluxe reclining Captain's seats, 2 Rear-facing lounges, Lighted Kicker Speakers, Toekick (mood) Lighting, Teak Lighted Switch Panel, Underwater & Side Exterior Lighting, Helm with teak accent and gauge package, 2 movable cup holders, Lighted Cup Holders, Tilt steering wheel, Stainless Steel Docking Lights, Ski Tow Bar, and a safety package. COLOR: Madator Red w/ Midnight Black accent Payments on this boat as low as $354/month! With Qualifying Credit. 1991 Astro 18 FDX THE GREAT OUTDOORS MARINE - THE FUN STARTS HERE! We have this 1991 Astro 18 FDX powered with a Mercury 150hp 2-stroke outboard and a single axle trailer and storage cover. It comes with a MinnKotaMaxxum 70# 24V trolling motor, Humminbird 998C GPS unit at the console and a Lowrance Elite 5 GPS unit at the bow of the boat. On the back of the boat is a 12' Talon shallow water anchor that comes with two remotes and there is a stainless steel prop on the motor also. 1992 Ranger 451V THE GREAT OUTDOORS MARINE - THE FUN STARTS HERE! This is a 1992 Ranger 451V with a Yamaha 150hp 2-stroke outboard and a 1992 Rangertrail single axle trailer with a spare tire and a storage cover for the boat. The boat comes equipped with a Humminbird 383C GPS unit at theconsole and a Humminbird Helix 5 Sonar GPS unit on the bow (new - 2016).